The AAI-GM12 allows direct interface of any preamp level audio source to a Buick factory radio, eliminating the need for sound degrading solutions like an FM modulator. 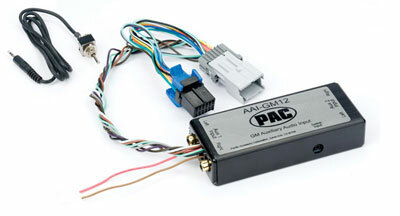 The AAI-GM12 interface inputs sources from units such as a DVD, MP3, Satellite Radio or PlayStation. 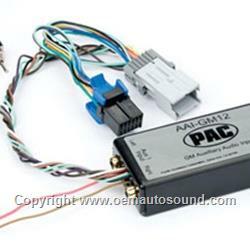 Requirements: 2000-2008 SUV’s and trucks with a RDS or Navigation radio. The SUV or truck must have a factory XM receiver, factory DVD Rear Seat Entertainment (RSE) or factory/aftermarket CD changer (factory 6 disc changer built in the radio does not qualify).